The BlueTech Cluster Alliance (www.BlueTechClusters.org) launched in January 2017 as the outcome of a series of meetings in person and through teleconference that began with a convening of clusters during the annual BlueTech Week in 2015 and continued during BlueTech Week 2016, put on by The Maritime Alliance. Formal clusters and clusters that would consider themselves to be in formation mode convened to discuss areas of possible collaboration, coordination, information sharing and a mutual vision that highlights the role of BlueTech clusters. 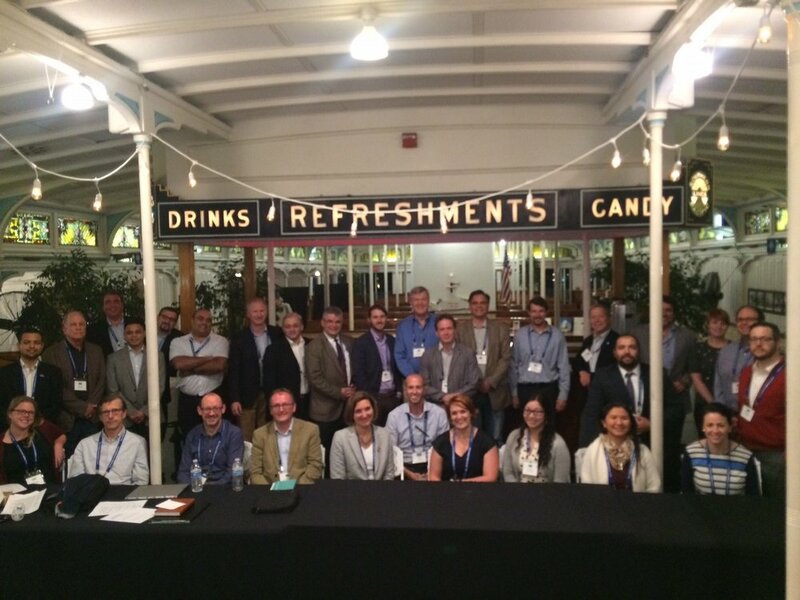 The 2016 convening was held aboard the Berkeley, an historic ferryboat in the care of the San Diego Maritime Museum. 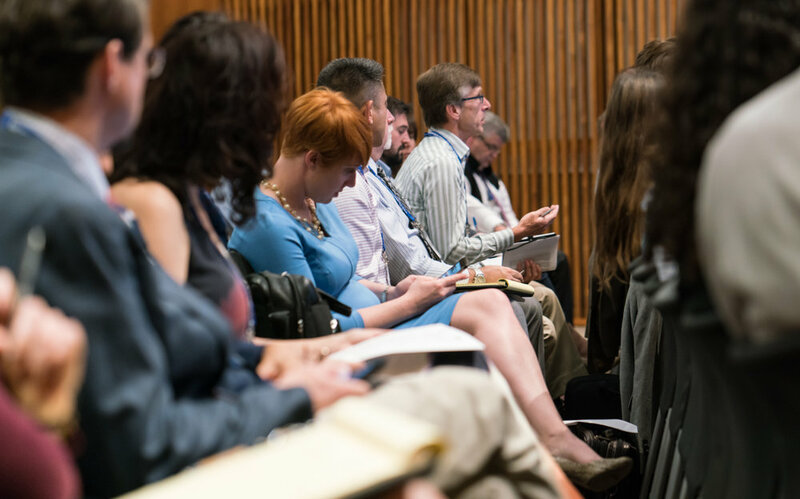 Every edition of the annual BlueTech Week since 2015 has included one full day co-hosted with Scripps Institution of Oceanography focused on significant topics. In 2015, we focused on BioMarine & Maritime Robotics. In 2016, the topic focused on Big Data, Data Analytics, OceanGIS & Maritime Cyber Security because we know the ocean represents a sea of data, and the 1-day conference aimed to promote collaboration and sharing among those interested in gathering, analyzing, utilizing and protecting the data. The heart of BlueTech Week includes a 2-day BlueTech Summit & Tech Expo that includes a series of keynote speakers, panel discussions, networking and a tech expo. BlueTech Week 2016 included panels that focused on "Case Studies of Collaboration" across a series of topics and highlighting the international aspect of the growing Blue Economy. 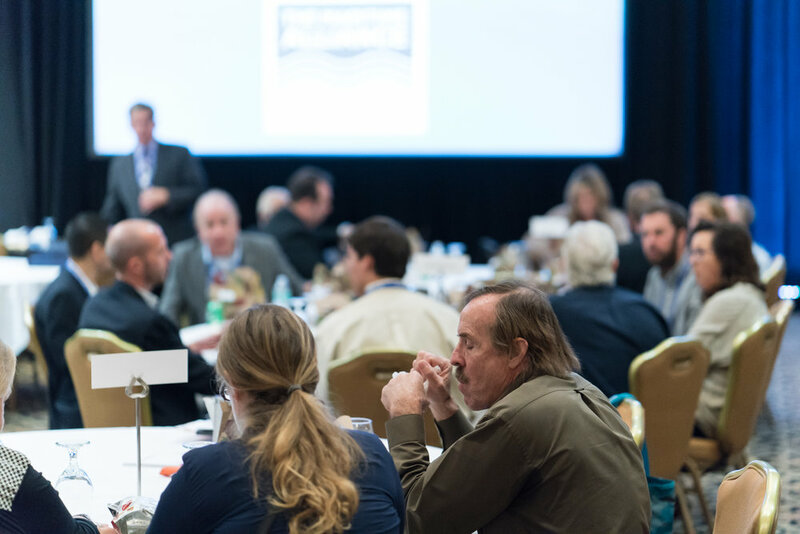 This year, we were pleased to highlight Dr. Edel O'Connor from Ireland who presented the Irish "Our Ocean Wealth Strategy" as keynote speaker on Day 1. Day 2 featured Mark Berry, Maritime Systems Division Head from the U.S. Navy's SPAWAR Systems Center Pacific as keynote. Education and Workforce Development are critical drivers for the Blue Economy so we developed a separate track for educators, industry and NGOs during BlueTech Week to focus on the intersection of education and industry. Thanks to our corporate sponsors, we are usually able to allow teachers and school administrators attend free-of-charge. 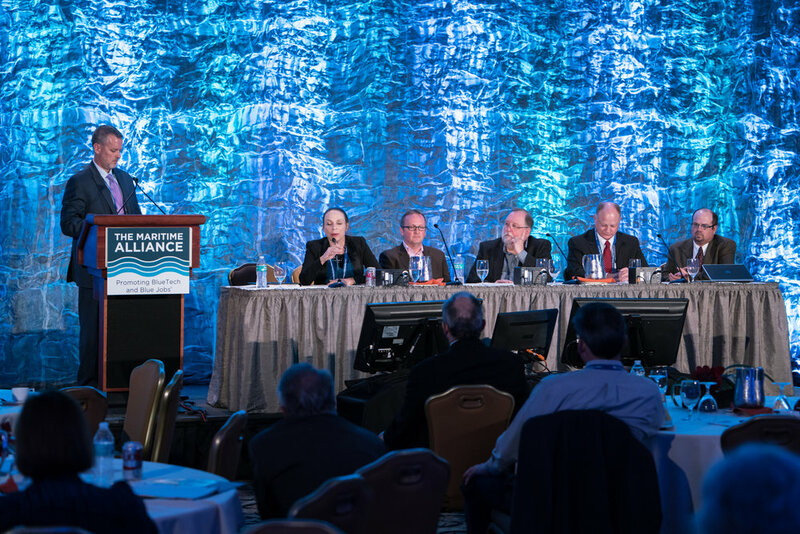 For the first year, The Maritime Alliance hosted a BlueTech Investors Day to bring together start-up and scale-up companies to present in front of potential investors or corporate partners. Mark Spalding, CEO of The Ocean Foundation, provide opening keynote remarks and moderated the discussion. Each company was allowed six minutes to present a slide deck, then a panel of judges had six additional minutes to ask questions or provide comment. In total, we had 17 companies present including Advanced Environmental Group, American Wave Machines, Assure Controls, Aquam (now Aquacycl), Bangalore Robotics, BioLargo, Clear Blue Seas, Oscillating BioFiltration System for Aquaculture, Exocetus Autonomous Systems, Float Inc., Highwave Ocean Energy, IMET Clean Fuel Saver, Optec, ONav & Geopixel, Planck Aerosystems, SeaBorne Farms, SmartFin, Swell Advantage and SubUAS.